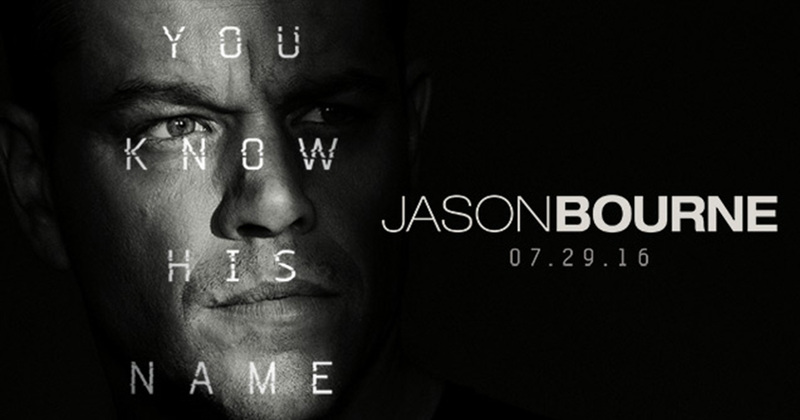 Very little about this movie is particularly original or interesting, and there’s a clear formula that Paul Greengrass breezes through here: Bourne walks away at an above average speed, the CIA picks him up in the crowd, someone catches up to him, they fight while the camera has a seizure, and Bourne gets away and is free to direct his stoic gaze upon the next scene. Add onto that a half-hearted attempt to insert a topical plot about surveillance, and you get a Bourne installment lacking the fresh, kinetic efficiency of the original trilogy (trilogy means three, people, so why the hell are we on number five?). This episode features the show’s characters playing chess games, trying to maneuver around others (or themselves) and find peace underneath all the muck. On the subplot side of things, we have Angela going up against Phillip Price and Joanna going up against Scott Knowles, and on main street, we have Elliot actually playing chess against Mr. Robot. It’s not just chess for chess’s sake, though; the episode is using this game to comment on its main character’s desire to unburden himself, to find peace by settling this once and for all. “I can’t hold this in any longer…it’s eating away at me,” Elliot expresses early on, and the rest of the episode is about him grappling with this inner turmoil. Instability. Panic. A lack of control. This week’s episode of Mr. Robot embraces itself in all its incoherent glory, eschewing an advancement of plot in favor of a deeply unsettling–yet fascinating–collection of scenes. It’s not perfect, but the style of the hour certainly fits with the themes the show is pushing at the moment. “eps2.1_k3rnel-pan1c.ksd” effectively builds up the tension and uncertainty, the “overwhelming fear” Elliot describes as “building, burrowing, and nesting”. 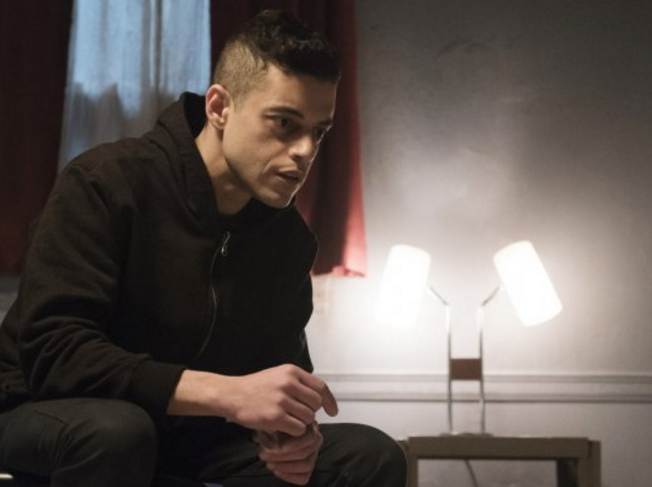 It features an amazing montage of Elliot on Adderall, Rami Malek grinning his way into our nightmares as we, the audience, become as disoriented as the characters in the show. It showcases Malek’s talents yet again, both in that montage and in a later monologue about organized religion. It takes more risks in one hour than most of television does in an entire season. This movie has it all: awful dialogue, wooden characters, irritating stereotyping, and a concept that’s way more interesting than what we end up getting. And yet…there’s something quite enjoyable about a movie like this, one that takes its world to extremes and delivers its messages with a sledgehammer. It’s not trying to be scary or subtle, and going into it thinking it’ll be one or the other is a recipe for disappointment (this should not be classified as horror, by the way). Do I wish a better writer/director helped this concept realize its full potential? Yes. Do I wish we got an intelligent and nuanced political satire? Of course. However, if I have to accept this movie for what it is, then my biggest criticism is that it doesn’t go even more over-the-top. Take stuff like the church scene and constantly pump it with drugs for 100 minutes, and that’s a movie I’d be excited to see. This is a great group of nominations. Let’s dig in. 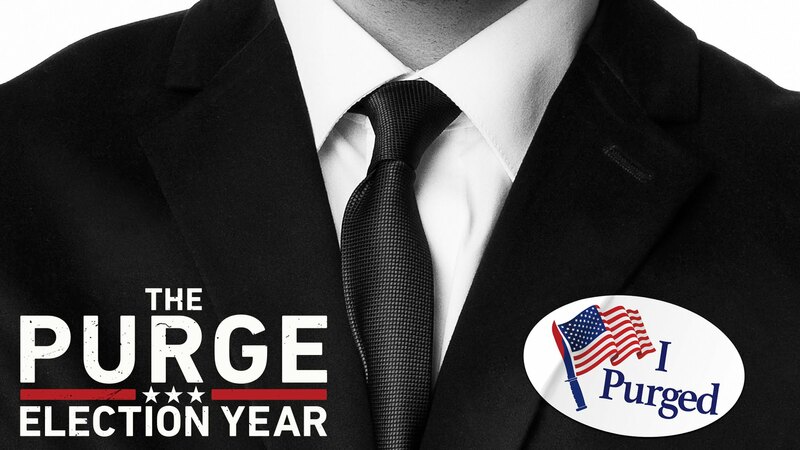 –The Americans finally gets nominated, several years too late. Keri Russell and Matthew Rhys have both been giving incredible performances for four years now, and it brings me a lot of joy to see them listed. One minor quibble: “Persona Non Grata” was a good episode, but there were much better candidates for “Best Writing” than that. 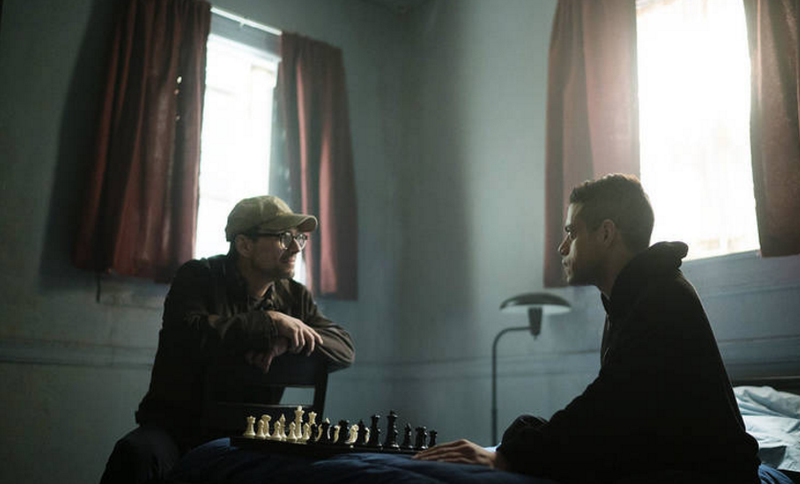 -Rami Malek and Mr. Robot getting nominated. I’m surprised not to see Slater here, though. -TATIANA MASLANY, once again several years too late. 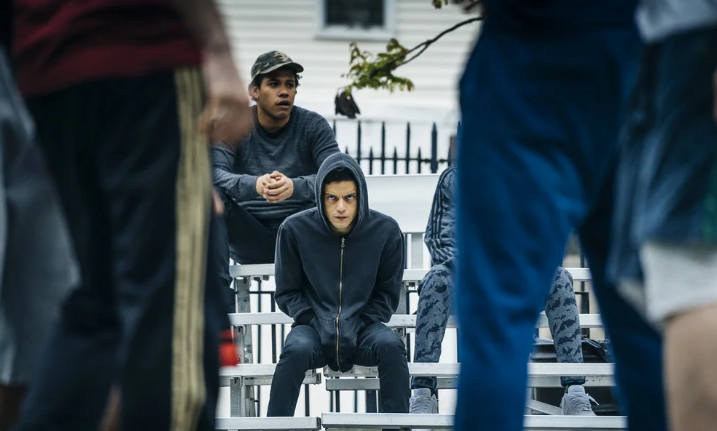 The idea of control dominates the two-part premiere of Mr. Robot‘s second season. We can obviously see that idea play out in the show’s exploration of Elliot’s psyche, his journal scribbles and constant narration providing us a firsthand look at his struggle to maintain control. He’s trying to combat that major revelation about Mr. Robot by throwing himself into a routine, and as a result, we see him watching pickup basketball games, eating with Leon, and keeping a journal. He tells us that he’s trying to maintain some sanity until Mr. Robot is gone, but we all know that the problem is festering right there inside of him, talking to him and trying to convince him to change. He’s trying to escape from himself, something that doesn’t sound like the easiest thing in the world to do. Perhaps we can say that he’s in an “infinite loop of insanity”. In a lean 80 minutes, the series premiere of The Night Of pulls you into a world that reflects our own, utilizing a central murder case to shine a light on the system that runs our lives. It doesn’t seem like a particularly groundbreaking piece of work, but it’s clear that the creative team understands how to take a classic concept and make it more engrossing than ever before. The production values are impeccable, the acting is compelling, and the story is the type to inspire a bunch of scene-analyzing and clue-searching. By the end of “The Beach”, the rest of the miniseries is pretty much begging to be binged.